A catcher's attempt to throw out a stealing runner hit the batter's bat on the backswing, resulting in an odd situation and our latest Case Play: Thrown Ball Hits Backswing. Catcher's throw hits the batter's bat. The Play: With one out and two on (R1, R2), Astros batter Jose Altuve attempted to steal third base on a 1-1 pitch as batter Evan Gattis swung and missed at the offering. 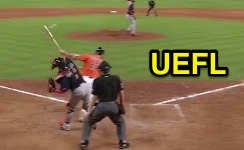 As Red Sox catcher Christian Vazquez attempted to throw Altuve out at third base, the thrown baseball hit Gattis' bat and bounced harmlessly back toward the pitcher's mound as HP Umpire DJ Reyburn signaled no violation of rule. Case Play Question: What is the proper call; is this interference (batter and/or runner out), backswing contact (dead ball, runners return), or an incidental play (ball remains live)? What if, instead of a 1-1 count, Gattis swung and missed at a 1-2 pitch for strike three, and the same sequence occurred afterward (thrown ball makes contact with bat on the backswing)? Dale Scott's crew had a similar play in 2015. Answer: Due to the incidental nature of ball-bat contact after the catcher's completion of the throwing action, the ball remains live and there is no interference. The runner is safe at third base. From the MLBUM: "If the batter is standing in the batter's box and he or his bat is struck by the catcher's throw back to the pitcher (or throw in attempting to retire a runner) and, in the umpire's judgment, there is no intent on the part of the batter to interfere with the throw, the ball is alive and in play." A similar play happened during Game 5 of the 2015 American League Division Series. > Unintentional backswing contact does not exist after the catcher's act of throwing is complete (e.g., after the ball is released on a throw). Backswing contact can occur if a pitched ball bouches off the catcher's glove and directly to the batter's bat; see Case Play 2016-1, The Dropped Third Strike. > Had, all else equal, the batter stepped out of the batter's box before the throw hit his bat, the umpire would then declare the batter out for interference pursuant to Rule 6.03(a)(3) [at 0:03, it appears the batter's foot is still in contact with the erased batter's box line, which would make him legal. If he stepped out of the box, naturally, he would be guilty of interference]. 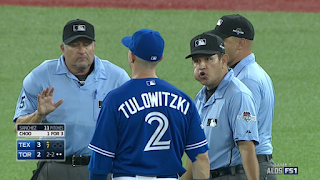 OBR 6.01(a)(5): "It is interference by a batter or a runner when—Any batter or runner who has just been put out, or any runner who has just scored, hinders or impedes any following play being made on a runner. Such runner shall be declared out for the interference of his teammate." OBR 6.01(a)(10): "It is interference by a batter or a runner when—He fails to avoid a fielder who is attempting to field a batted ball, or intentionally interferes with a thrown ball." OBR 6.03(a)(3): "A batter is out for illegal action when—He interferes with the catcher’s fielding or throwing by stepping out of the batter’s box or making any other movement that hinders the catcher’s play at home base." OBR 6.03(a) Comment: "If the batter interferes with the catcher, the plate umpire shall call 'interference.' The batter is out and the ball dead. No player may advance on such interference (offensive interference) and all runners must return to the last base that was, in the judgment of the umpire, legally touched at the time of the interference." OBR 6.03(a) Comment: "If a batter strikes at a ball and misses and swings so hard he carries the bat all the way around and, in the umpire’s judgment, unintentionally hits the catcher or the ball in back of him on the backswing, it shall be called a strike only (not interference). The ball will be dead, however, and no runner shall advance on the play."